This talk focuses on recent, popular Italian television. 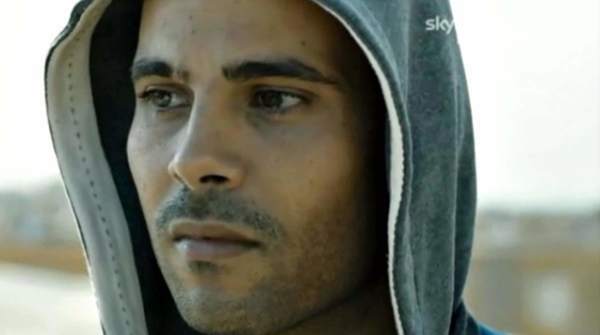 As noted in a recent Variety article, “The global rise of Italian TV series is now in full swing” thanks in great part to the international successes of programs such as Gomorrah. La serie, Suburra. La serie, The Young Pope, 1992/1993, and Romanzo criminale. La serie (Vivarelli 2018). These programs appear on channels or streaming services that attest to their transnational appeal and growing fan-base: HBO, The Sundance Chanel, Hulu, Netflix, Sky Atlantic, iTunes and Amazon Instant Video. Italy’s most popular, exported series feature alluring and attractive criminal antiheroes, and offer fictionalized accounts of historical events or figures. In particular, series on Sky and Netflix Italia highlight the routine violence of daily life in the mafia, the police force, and politics. Although content is frequently dark and violence common, Italian broadcasters have made an international name for themselves in presenting Italian tragedy in formats that are visually pleasurable and, for many across the globe, highly addictive. Building on recent work in American television studies, audience and reception theory, and masculinity studies, this presentation addresses how and why viewers are positioned to engage emotionally with – and root for – television antiheroes on small Italian screens. Indeed, in Italian television, gangsters and criminals are constructed to warrant viewer compassion in a much more straightforward manner than we have ever seen before onscreen in the Italian tradition. It’s fascinating that spectators enjoy re-experiencing Italy’s painful recent past and present in the safety and comfort of their own homes in visually pleasurable forms. Taken as a whole, this presentation investigates what recent Italian perpetrator television can teach us about television audiences, and our viewing habits and preferences. Dana Renga is Associate Professor of Italian and Film, and Chair of The Department of French and Italian at The Ohio State University. She is also Vice-President of the American Association for Italian Studies. Renga’s research and teaching interests focus on Italian cinema and television. She has published over thirty articles and book chapters on Italian cinema and television, Italian popular culture, and modern and contemporary Italian poetry and literature. She is the author of Unfinished Business: Screening the Italian Mafia in the New Millennium (University of Toronto Press, 2013), the editor of Mafia Movies: A Reader (University of Toronto Press, 2011, 2nd edition forthcoming), and co-edits The Italianist film issue. She recently completed a book called Sympathetic Perpetrators on Italian Television: Gomorrah and Beyond and also finished the co-authored volume A Long Holiday: Internal Exile in Fascist Italy.